As several years past, John-Robert would ask to sing acappella at dinner parties or gatherings. They all thought how cool, as he was singing the songs from start to finish in perfect pitch remembering all the lyrics perfectly! 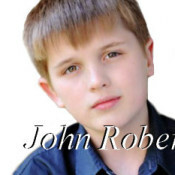 I’m told that John-Robert’s breakout performance was when he was 9 years old. A local Singer was introducing her album at the Shenandoah Relay for Life Event at the Shenandoah Fairgrounds. His parents noticed that people were not paying too much attention. 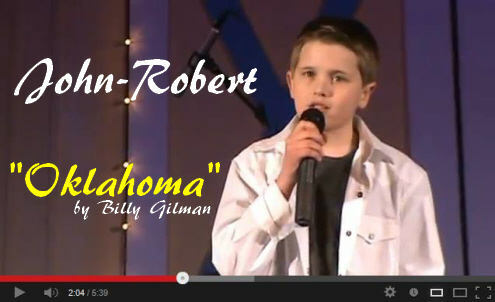 So as his father passed the stage, he asked if John-Robert could sing a song on stage. She replied, bring him up! John-Robert had been playing kickball at the time, so with dirty knees, shirt, and shorts, a hot and sweaty John-Robert headed to the stage. At first she kind of patronized John-Robert a little, but once he opened his mouth, you could have heard a pin drop in that Grandstand. People were literally running to the stage to hear who was singing Train’s Hit “Hey Soul Sister” acappella. When he finished, the crowd roared!!! His parents looked at each other in disbelief, because John-Robert had never stepped foot on stage in his young life before. He had performed unfazed by the hundreds of people in attendance! 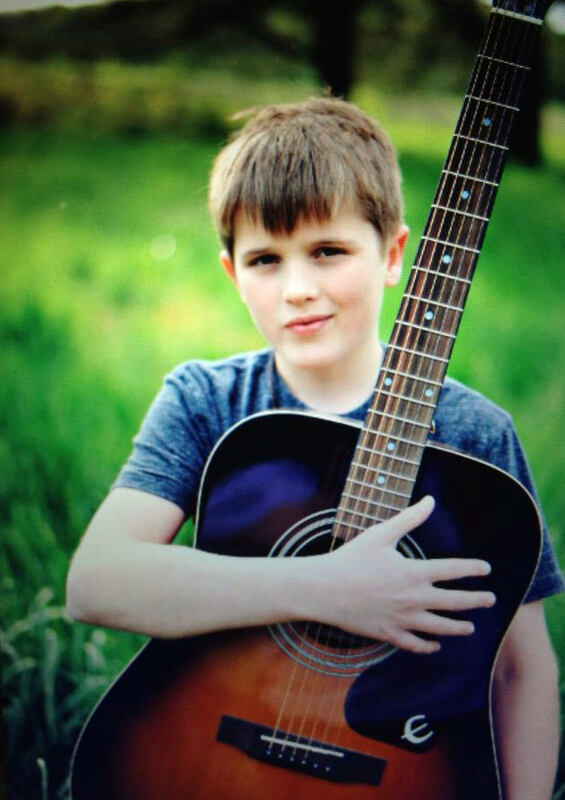 Following the Relay for Life Event, John-Robert’s dad made an appointment with an instructor at James Madison University Music Department to listen to John-Robert, sing. While the instructor did not work with children younger than High School age, he agreed to listen to John-Robert. He watched John-Robert’s first video of the Relay for Life Event footage and his mouth dropped to the floor. He asked if he had any prior vocal lessons or any stage training. “No, absolutely no training”; his father replied. After spending 45 minutes to an hour with John-Robert, he came back and asked if he could speak to his father privately. “Do you realize your son has absolutely perfect pitch with a range outside the box”; he exclaimed. He also mentioned his beautiful tone. He went on to say that John-Robert had been truly blessed and born with a God Given Talent, something that can’t be taught. After their appointment with the instructor, they headed to Robby Meadows Recording Studio and a tour. John-Robert’s dad asked if Robby would like to hear John-Robert sing before they went any further; sure he replied. John-Robert sang “Beth” by KISS acappella leaving Robby in amazement. Listen below to John-Roberts first demo of this song! It was from that quick audition that Robby cleared the way for John-Robert to sing on the RFD nationally televised Virginia Dreams Center Stage Show, Rockingham County Fair and WHSV TV3 Noon News as their Musical Guest 3X. John-Robert has been singing ever since that day of visiting the JMU Instructor and Robby Meadows Recording Studio. He has performed at Fairs, Carnivals, Convocations, Funerals, Local Sporting Events, Churches, Revivals, Events, Ceremonies, Fundraisers, Open Mics, Relay for Life, and much more. John-Robert is currently working with Ben “Cooter” Jones of “The Dukes of Hazzard” on The Shenandoah Jamboree Show which is held on the 1st Saturday of each month thru November at The Yellow Barn at Shenandoah Caverns in Woodstock, VA. This show consists of country, bluegrass and gospel music from local singers, but also has a special guest headliner who is usually from Nashville. 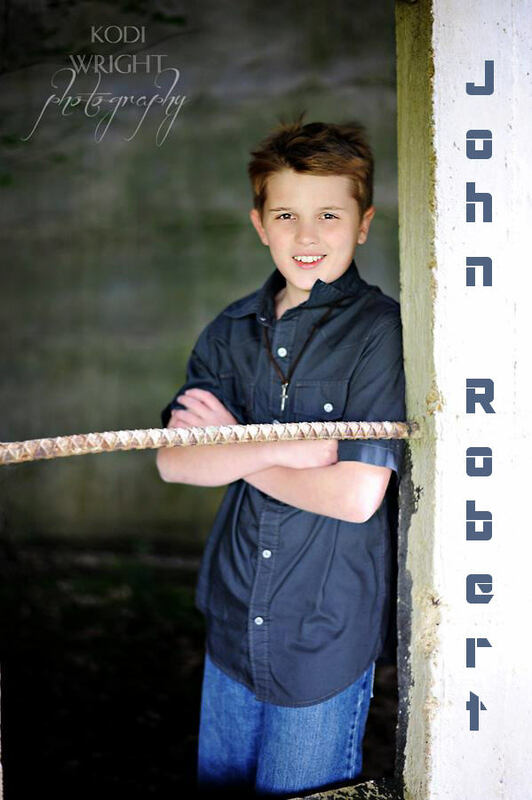 John-Robert is the youngest cast member on the show at just 12 years of age. 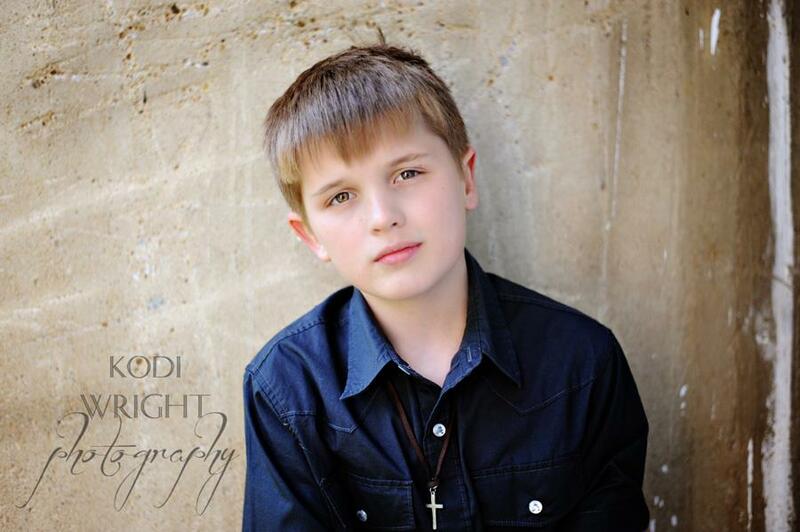 John-Robert will be singing at the 2013 Dukes of Hazzard Fan Fair in Nashville this June. What an awesome opportunity to showcase his voice in front of thousands of fans. Ben Jones wants to introduce John-Robert to Nashville. John-Robert has a very busy summer ahead of him. Everything from The Shenandoah Jamboree Show, County Fairs, Carnivals, Wine Festivals, Lawn Parties, Relay for Life Events, etc….even some local community service where he will be doing some singing at Assisted Living Facilities and several Nursing Homes. John-Robert is all about giving back to the community; very rarely does he ever turn down a singing opportunity which involves helping others. John-Robert’s dad shared the following story with me. John-Robert has co-written a song called “Daydreamer” with singer, songwriter, musician Emma Rowley from the Northern Virginia. 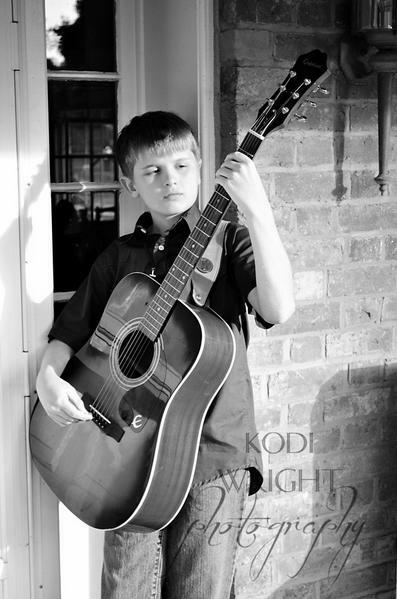 He has also been playing and singing with his guitar on a regular basis. He especially enjoys singing acappella, to backing tracks, and with “Cooter’s” Garage Band. If you are ever within a 60 mile radius of Edinburg, please keep your eyes and ears open, you just might run into John-Robert. He just might be singing acappella in a McDonalds, Lowes, Wal-Mart, Super Market, American Eagle Store, Old Navy or Mall. John-Robert will sing to anyone who asks him to sing. He can sing to one person or thousands, it’s all the same to him. Finding and introducing new talent is what this website thrives on. John-Robert is just another fine example of the outstanding talent that is awaiting the right producer to come along. While John-Robert is making his debut on this website today, I can assure you this will not be his last feature article. 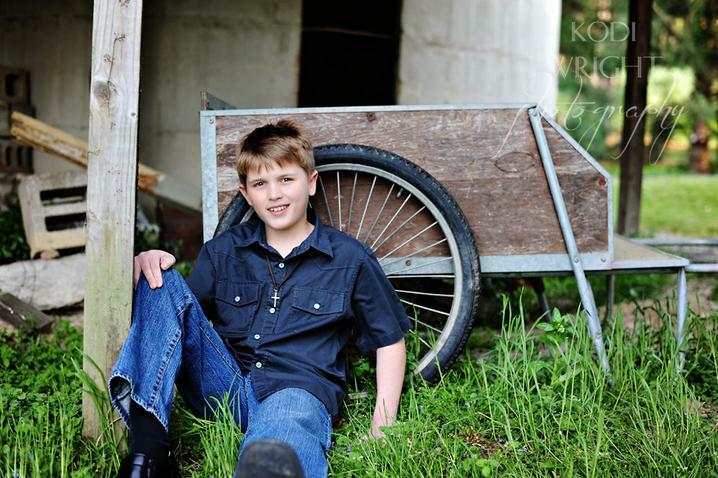 This young man has begun the ride of a life time with his teen years still ahead of him. 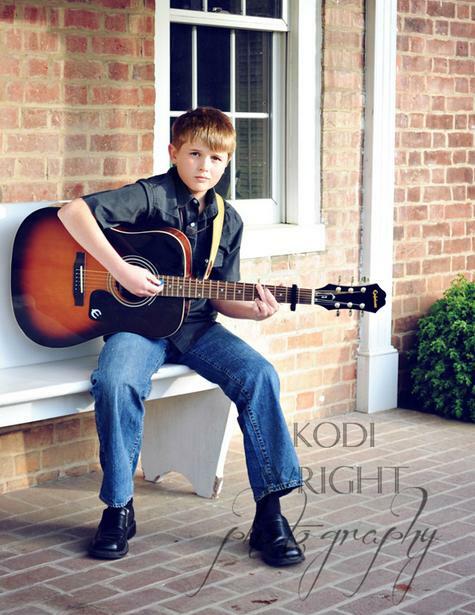 Watch out for John-Robert, this is one singing prodigy, who is headed for the stars.